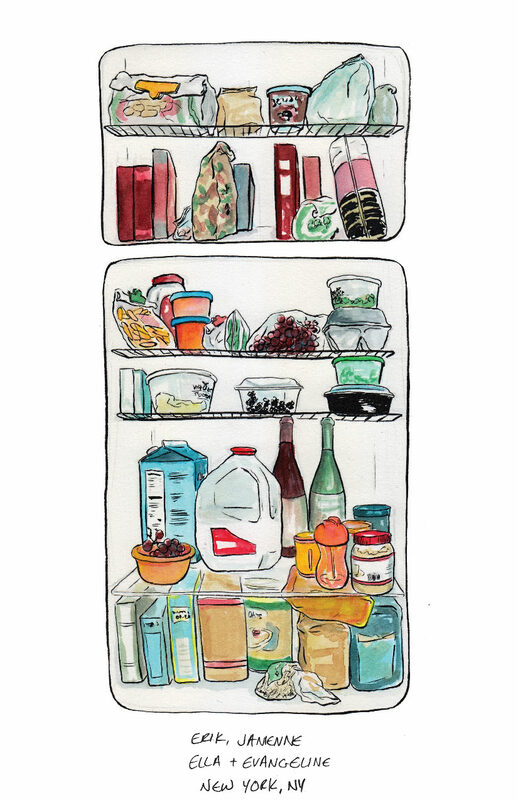 What’s in your refrigerator? 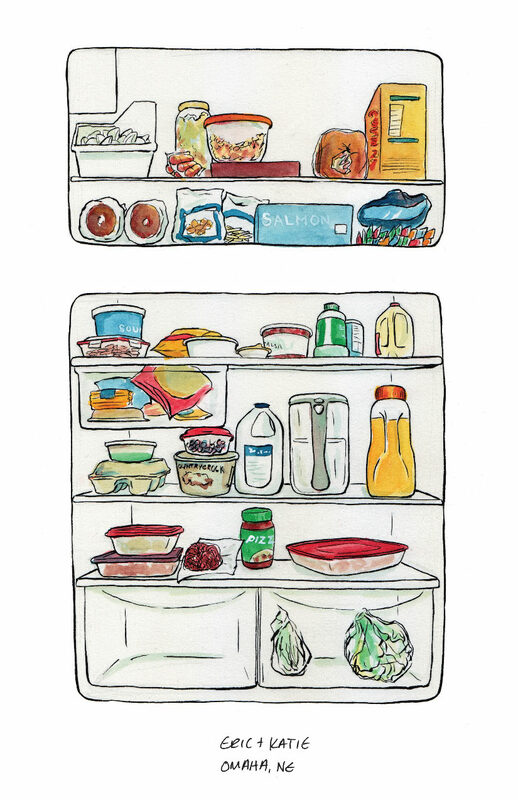 How much food is in your fridge? 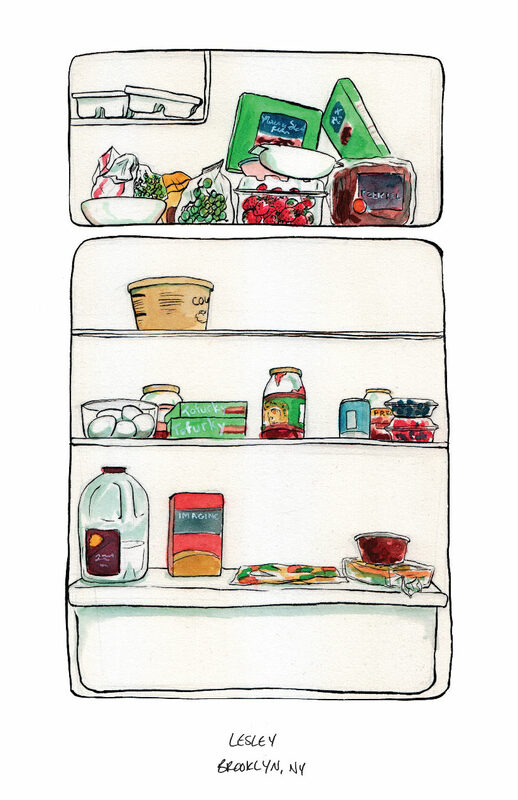 How much of that food has gone bad? 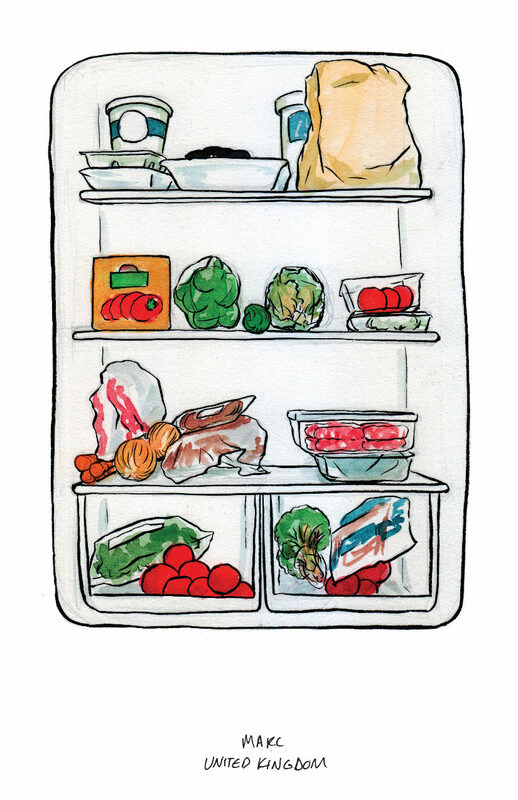 There are a lot of variables when it comes to what’s in people’s refrigerators, but we all have one. 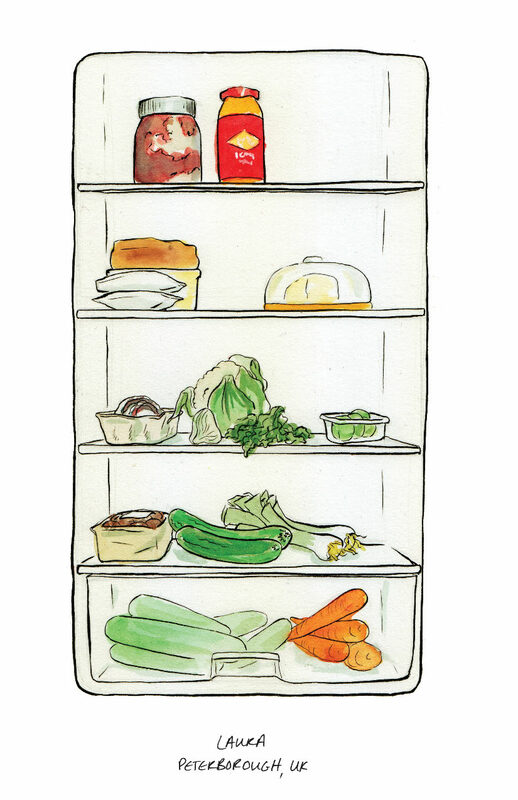 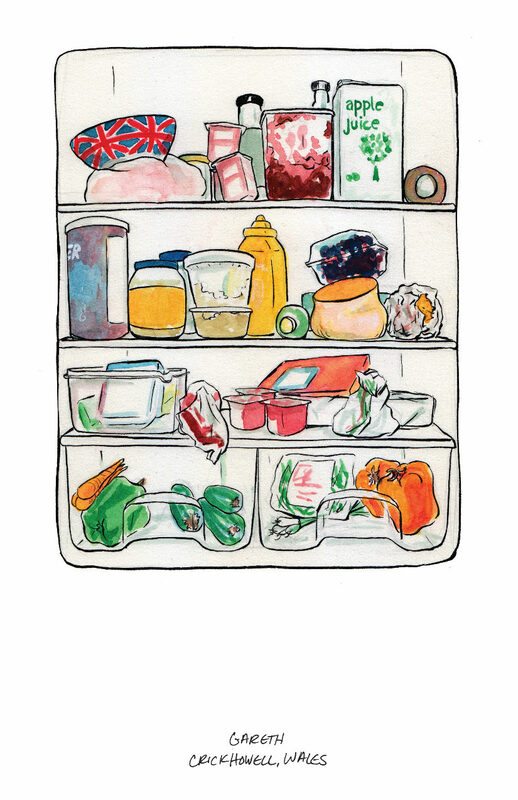 I find food and food-related issues to be fascinating which is why I thought it would be fun and interesting to illustrate the contents of a variety of refrigerators from around the country and the world. 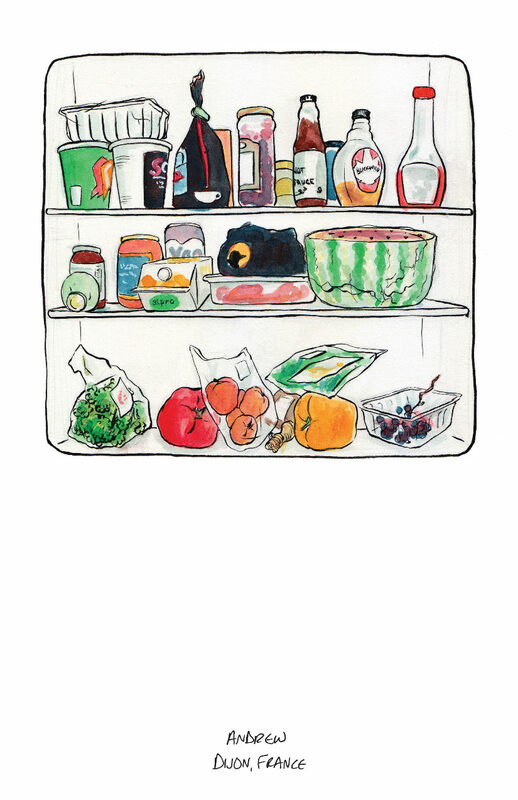 Thank you to everyone who was willing to share a photo of their refrigerator with me! 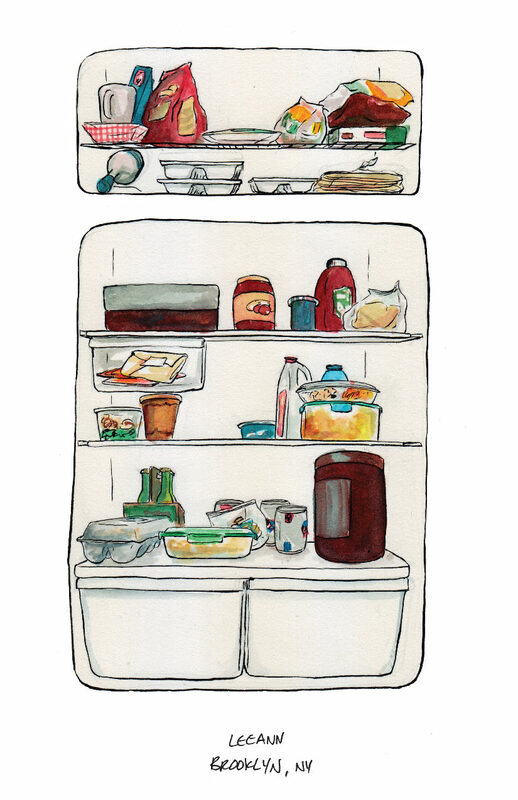 This is potentially an ongoing project, so I may put out calls for more if anyone is interested in helping. 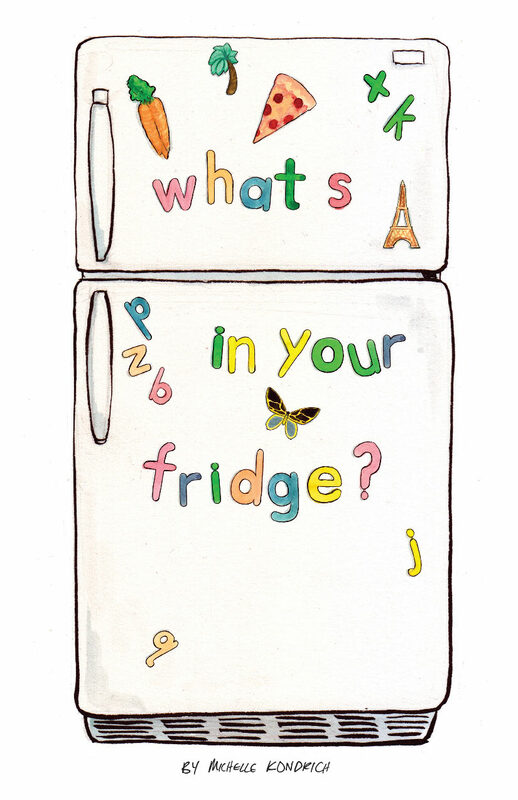 I’ve also thought about turning these into refrigerator magnets – is that something you would be interested in? 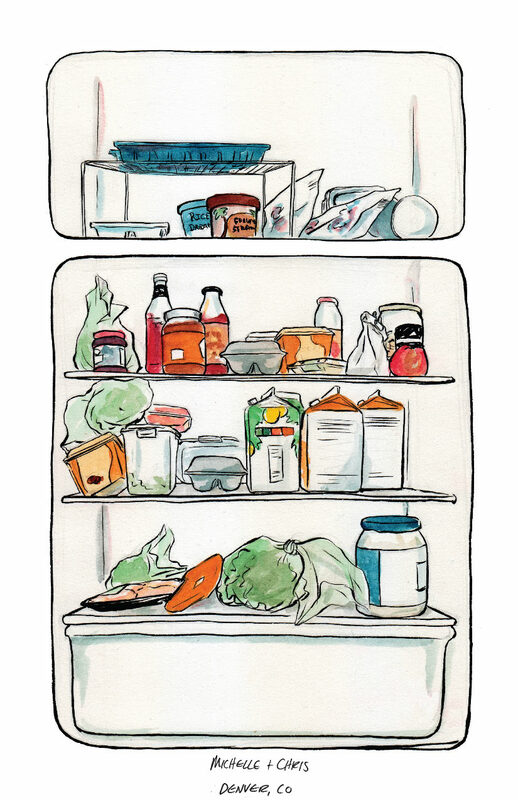 Oh, and you’ll find mine and my husband’s at the bottom – I couldn’t very well ask people to show something so personal without being willing to do the same!